Lê Thị Thanh Loan of Cần Thơ City was one of the lucky breast cancer patients, thank to early detection. Two years ago, doctors found a small, stage-1 tumour in her breast during a regular health check-up at the Hòa Hảo Medical Diagnosis Centre in HCM City. After a mastectomy operation on her right breast and four months of chemotherapy, she began a regimen of hormone therapy that will last a full five years. On Oct 28, Loan travelled to HCM City to take part in the Pink Hat Day event organised by the Breast Cancer Network Việt Nam to support patients during Breast Cancer Awareness Month in October. Despite the happy ending for Loan, many other Vietnamese women die from the disease because of late detection or lack of access to health services for diagnosis and treatment. In July, Nguyễn Thị Huyền Trang of Việt Nam, a world shuttlecock champion, died at the age of 33 from breast cancer. In 2014, she was diagnosed with advanced breast cancer that had spread to her bones. Treatment at Hà Nội Oncology Hospital slowed the spread of the cancer, which allowed her to live for four more years. Huỳnh Quang Khánh, head of Chợ Rẫy Hospital’s breast cancer unit, said many Vietnamese women patients had not survived because their breast cancer had been detected too late or they had not received modern medical treatments. 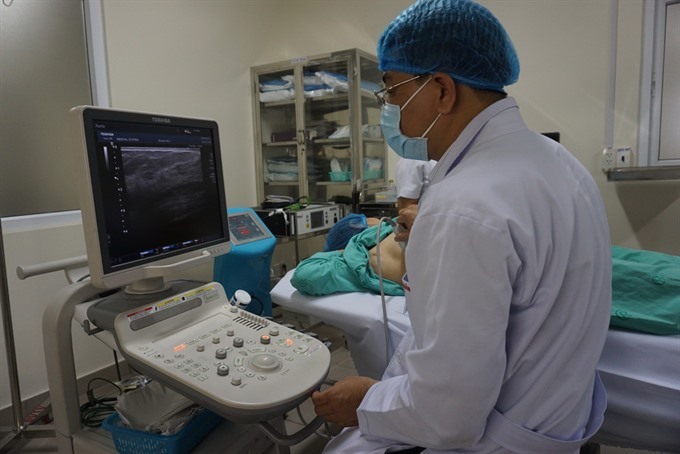 Chợ Rẫy Hospital uses the latest advanced treatments, including vacuum‑assisted breast biopsies, breast-conserving surgery, mastectomy, breast reconstruction, chemotherapy, radiotherapy, hormone therapies and targeted therapies. The five-year survival rate for women diagnosed with stage 1 breast cancer is 90 per cent, and stage 2 cancer 80 per cent. The rate falls to 60 per cent for women diagnosed with stage 3 breast cancer, while stage 4 breast cancer has spread to other parts of the body and treatment does not cure the disease. Breast cancer is the most common cancer among Vietnamese women, according to Khánh. In Việt Nam, more than 12,000 new breast cancer cases are diagnosed each year, and the number of incidences is expected to rise to more than 22,600 by 2020. More than 4,500 deaths from breast cancer are reported every year in the country. Nguyễn Văn Cầu, deputy head of Huế University Hospital’s Oncology Department, said that it remained a great challenge to reduce the number of breast cancer incidences and mortality rates. Mammograms and testing for the BRCA1 and BRCA2 genes, which are used to detect genetic mutations that affect breast cancer, are costly and are not covered by the national health insurance scheme. Moreover, most women aged 40 to 55 are busy with work and childcare and do not exercise regularly, which can reduce the risk of breast cancer, according to doctors. When breast cancer is detected early and adequate treatment is available, the probability of curing breast cancer is high. However, there is no comprehensive programme for screening and early detection of breast cancer nationwide. Cầu said that most women should have their first mammograms at the age of 40 and then annually after that. But limited access to mammograms and a lack of radiologists who can accurately interpret the results of the tests have hindered the early detection of breast cancer in the country. Major hospitals in big cities such as Hà Nội and HCM City have mammography machines, but fewer than half of provincial hospitals have them. The shortage of equipment and hospitals specialising in cancer remains a major concern since poor access to quality care often means that cancer is detected too late. Phan Thị Hằng, deputy director of HCM City’s Hùng Vương Obstetrics and Gynecology Hospital, agreed that a screening programme for breast cancer covered by health insurance would result in earlier diagnoses and better treatment. The hospital offers breast cancer screening for 28,000 to 30,000 women every year, with new diagnoses accounting for 0.4 per cent of the total. In October, activities during Breast Cancer Awareness Month included free breast cancer screening for women aged 40 and above at public and private hospitals nationwide. 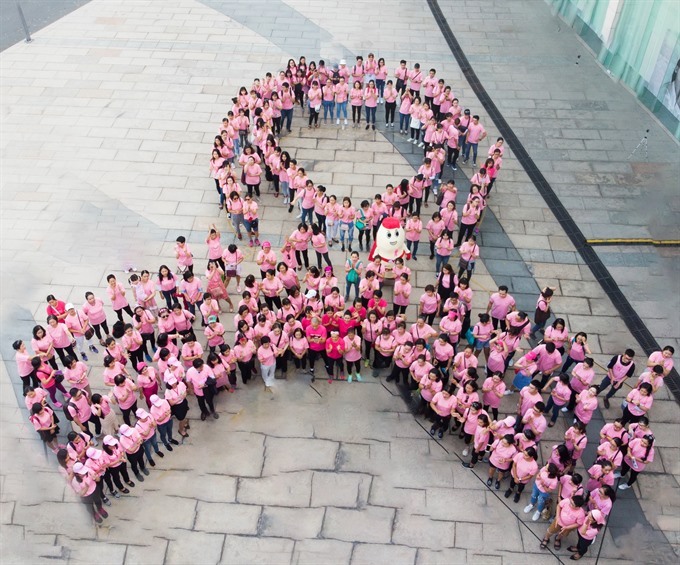 To promote early detection and regular screening, the Breast Cancer Network Việt Nam organised a fundraising concert on October 19 and the Pink Hat Day event on Oct 28. “It can be a difficult experiment for Vietnamese women, but we’re trying to make it more acceptable for more people to talk about it, and to offer more education about breast cancer,” said Lanyon, who survived breast cancer 10 years ago through surgery, chemotherapy and radiation therapy. “Early detection and education is important to help women survive breast cancer, " she said. “Every woman must get regular health checkups, with breast screening at least once a year. You can also self-check. If you think you’ve found a lump, you should go to the doctor immediately. That saved your life.”/.